Is there a better alternative to interviewScribe? Is interviewScribe really the best app in Productivity category? Will interviewScribe work good on macOS 10.13.4? 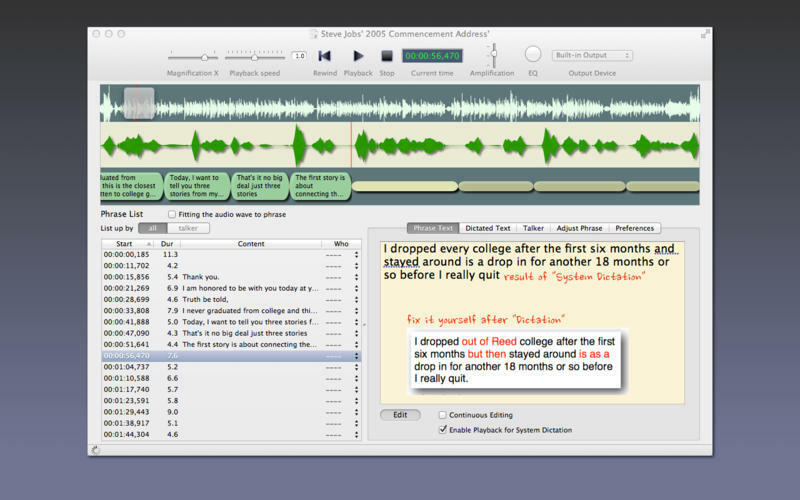 interviewScribe is the tool for speech dictation. Management by the phrase - Phrase is the pieces of the audio data. interviewScribe is managed audio by the phrase. By dividing the phrase, You can transcribe to each do a short phrase. 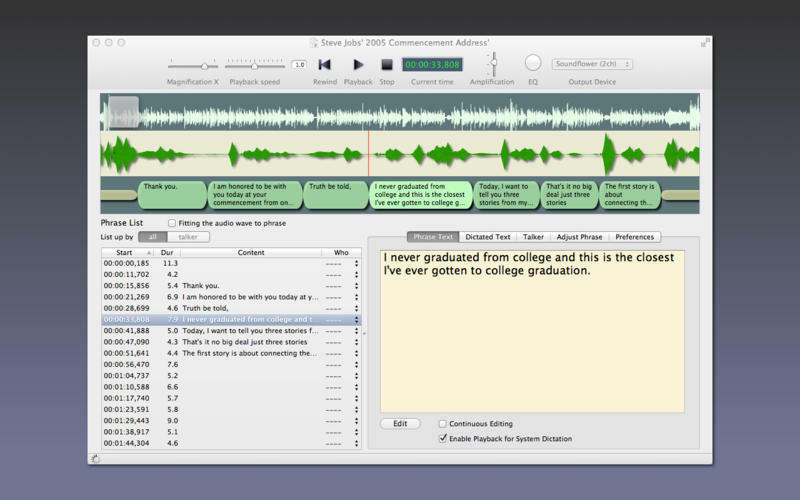 With interviewScribe, you can proceed transcribe work smoothly. 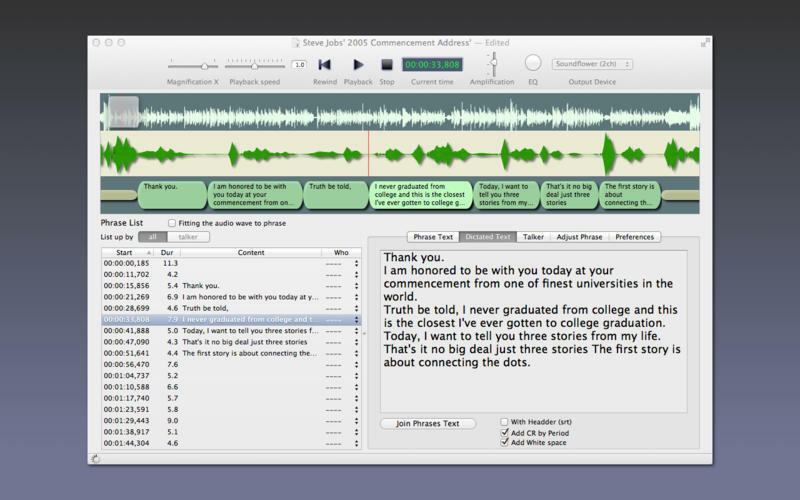 Specific features for Transcribe - interviewScribe has features that are specific to the transcribe work: Automatically dividing the phrase, Can set free playback position, Can adjust playback speed, and adjust the playback quality. interviewScribe needs a review. Be the first to review this app and get the discussion started! interviewScribe needs a rating. Be the first to rate this app and get the discussion started! 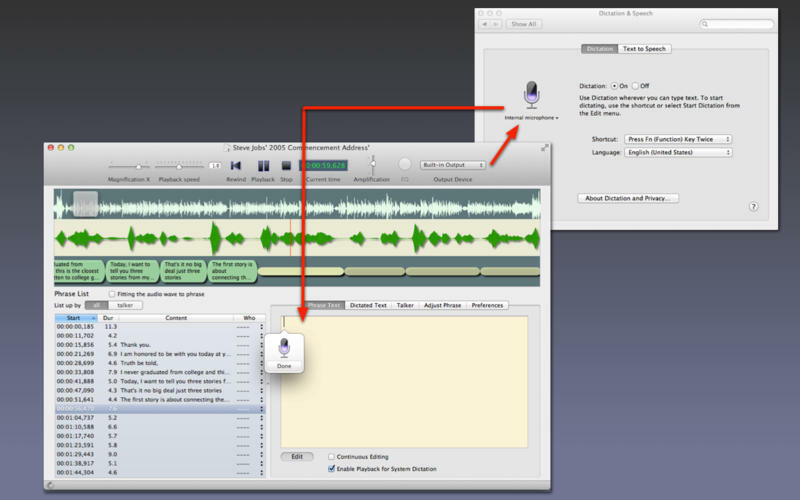 Cooperation with OS X 10.8 Mountain Lion’s "Dictation" - In addition, you can also take advantage of the features of OS X 10.8 Mountain Lion's "Dictation". Characteristic of this function is to make the phrase playback along with the "Dictation". You can convert a phrase audio into a text by this feature. Can be converted to text with surprising ease if a good source, such as those delivered by Podcast News. Output of the result - Every phrase's text, is possible to join with headers that shows start,end time and talker. joined text can export by .txt file.